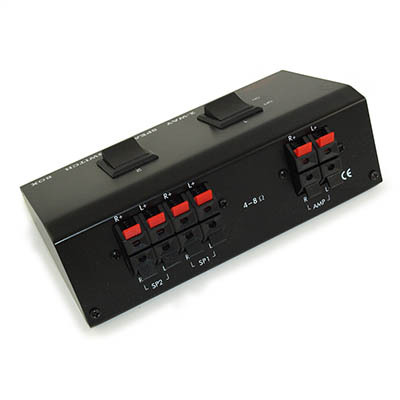 Tabletop control box allows selection of A/B speaker pairs. Internal 220ohm resistors ensure that amplifier always sees a load, even with both switches off. 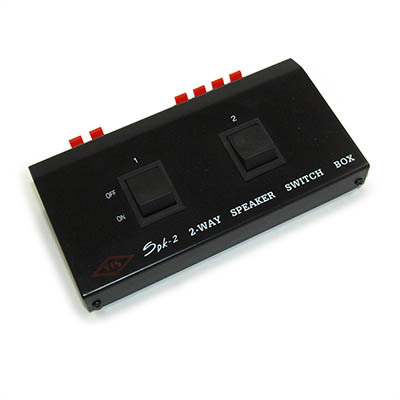 With both speaker switches in "on" position, speaker pairs are connected in series, allowing use of 4ohm or 8ohm speaker systems, without damage to amplifier. 200W maximum power capacity. All connections are push type. 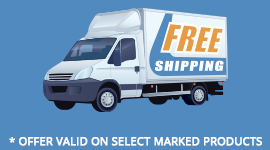 Metal case has non-skid rubber feet and stays securely in place. Dimensions: 6.9" (W) x 2.2" (H) x 3.9" (D). Sloped front, black color. Dimensions: 6.9" (W) x 2.2" (H) x 3.9" (D). Sloped front, black color.